Picturesque but modern, historic yet cosmopolitan, distinctly Californian but with a dash of European flavor, San Francisco has a free-spirited nature that’s as appealing as it is hard to pin down. Within its 47 square miles are dozens of small, eclectic neighborhoods, from hippie and hipster enclaves to posh streets lined with mansions to vibrant districts offering every imaginable type of cuisine. San Francisco was shaped by an eventful past that still seems very alive in places. By the waterfront, cast-iron and brick facades recall the boomtown days following the 1849 Gold Rush. In Golden Gate Park, an ornate Victorian hothouse offers a slice of the Gilded Age. In Union Square, an alley shrouded with fog channels the hard-boiled heroes of a Dashiell Hammett novel. You’ll find echoes of the Beat Generation in a venerable North Beach bookstore, while a Haight Street shop selling tie-die and Grateful Dead posters brings back the “Summer of Love.” These aren’t tourist attractions – they’re snippets of history woven into the present-day fabric of this very diverse city. I’ve lived just south of San Francisco for over 20 years, and never get tired of rediscovering it. Now that my boys are attending school in the city, I find myself up there several times a week. 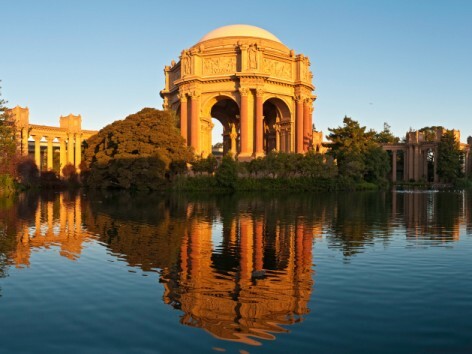 San Francisco is an art, culture and food lover’s paradise, with world-class art museums, a renowned symphony, ballet, and opera company, famed music venues, and more restaurants per capita than any other city in the United States. Its relatively compact size means it’s very walkable – except, of course, for all the hills. But the view from the top, of sailboats out on the stunningly blue bay, graceful bridges and green headlands, makes even climbing these a pleasure. Between museums, shopping, trying the multitude of cuisines, and exploring all the different neighborhoods, you won’t have any trouble filling your days. But if you do have extra time, San Francisco is just a short drive away from the famous Napa and Sonoma Valleys and the towering redwood forests of Marin, and only a few hours from the spectacular Big Sur coastline.